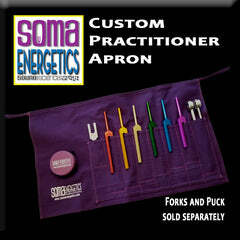 Home › SomaEnergetics Premiere Custom Vibrational Tools › 528 LOVE Tuning Fork KIT - A SomaEnergetics Exclusive! 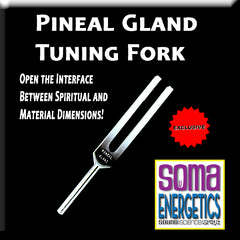 The Love 528 Hz is the one tuning fork everyone should own. Informative Brochure with techniques to explore the Power of 528! 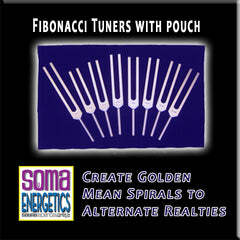 The 528 Hz LOVE Tuning Fork is the same frequency as the Gold MI 528 Hz found in the Solfeggio Energy Tuners. 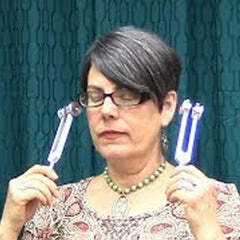 The Green 528 HZ LOVE fork is the only version sold separately and included in the Personal Sound Therapy Kit. 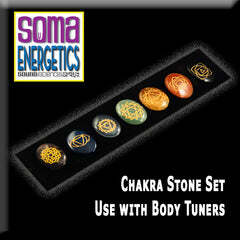 This exclusive kit includes the Heart Quartz Crystal. • It opens the mind and heart to higher guidance. • Quartz amplifies energy or intent, which may accelerate the course of one’s desires, healing, personal growth and spiritual awareness. • The Heart has long been recognized across cultures as being a symbol for love, joy and compassion. 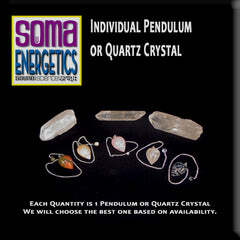 Quartz has been called the “Universal Crystal”, the Supreme Gift of Mother Earth” and the “Master Healer Stone” because of its many uses, its ability to enhance healing energy and strengthen all body systems. 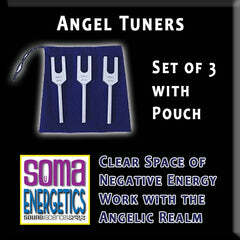 It’s a strong amplifier of energy, making it a crystal of choice by healing practitioners who have witnessed beneficial results during vibrational healing sessions. 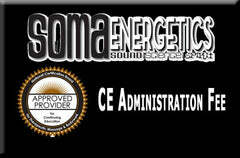 Its natural vibrations are very similar to the vibrations of humans. 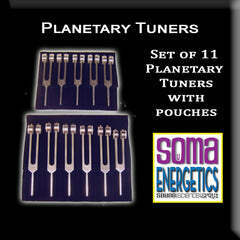 It’s excellent for harmonizing and balancing one's environment and relationships because of its ability to balance energies. The heart symbol is used in matters related to love, romance and the strengthening of relationships. 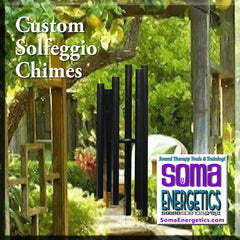 Focusing our thoughts and energy with intent does affect us as individuals. 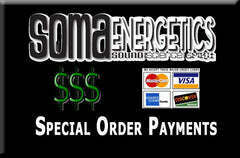 Focused intent (such as the law of attraction) affects us as individuals, society, and the universe around us. But let's face it... affecting our lives and environment takes focus. 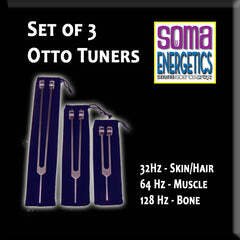 In today's chaotic environment there is often great difficulty obtaining that focus due to lack of time and energy. 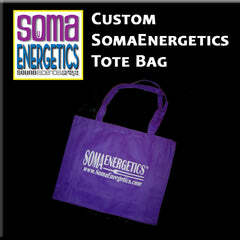 So how can we accelerate the results of our focused intent, using the time and energy we do have? 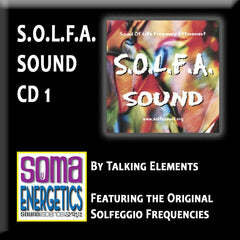 The source of love, compassion, and understanding; the frequencies that truly change reality, reside in the heart. 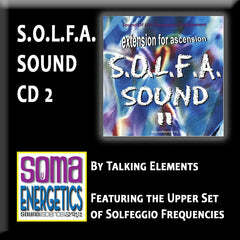 Therefore, doesn't it make sense that if we can amplify, accelerate and intensify the frequency (vibration) coming from our heart, that we can access and share the most powerful energy in the universe? Of course it does! 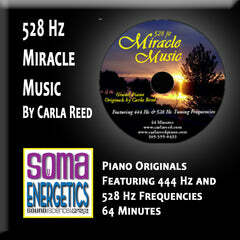 According to Dr. Len Horowitz some leading genetic biochemists suggest frequency 528 is the miraculous repair frequency for damaged DNA. 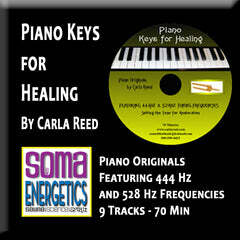 There is a special sound and color of love according to Dr. Horowitz, a Harvard-trained award-winning investigator. 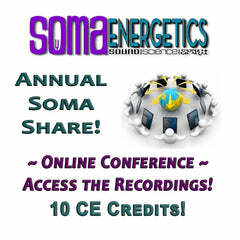 Broadcasting the right frequency can help open your heart, prompt peace, and hasten healing. "We now know the love signal, 528 Hertz, is among the six core creative frequencies of the universe because math doesn't lie, the geometry of physical reality universally reflects this music; these findings have been independently derived, peer reviewed, and empirically validated," Dr. Horowitz says. 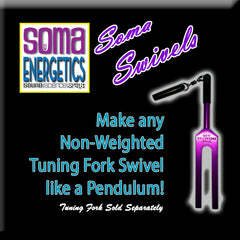 Everything becomes more vibrant when I play this tuning fork...even the birds sing louder! The tone is quite subtle and feels gentle in my aura. I love the soft green color too. 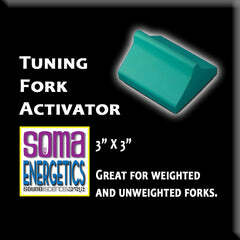 Slowly but surely I am building a collection of Soma Energetics tuning forks - they're worth every cent! 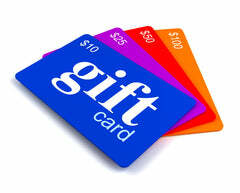 I bought one as a gift, as well as one for myself. The recipient was thrilled and I love mine! I have also purchased other kits, and am very happy with the quality and sound of all of them. 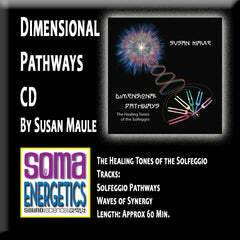 I am a certified crystal healer whose specialty is grid making for distant healing. 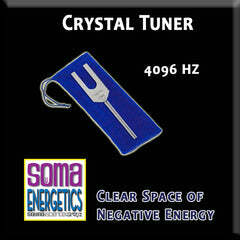 Tuning forks are a wonderful way to cleanse the crystals. Adding love is ideal! It is exactly what I wanted! It came with clearly laid out instructions! The fork is a quality size! You will get a descent size heart shaped crystal! 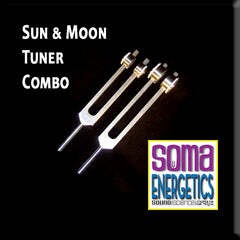 Solfeggio Energy Tuners - Etheric Color Tuning Forks!